Hundreds of women have been diagnosed with the disease. Most cases involve a certain type of breast implant. A woman who developed an incredibly rare but potentially deadly cancer linked to certain breast implants is warning other women to stay vigilant about their bodies as the number of cases grows. 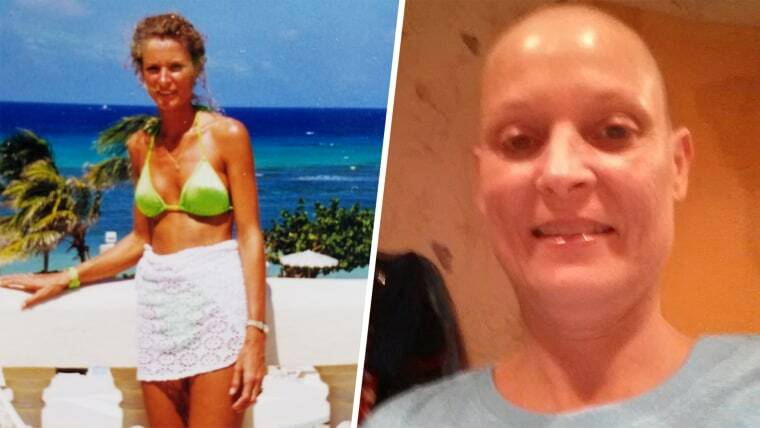 Stacey Boone was told she had the flu, endured an egg-size lump on her collarbone and lost more than 40 pounds before she finally received the correct diagnosis: breast implant-associated anaplastic large cell lymphoma (BIA-ALCL), a type of non-Hodgkin's lymphoma. On Wednesday, the U.S. Food and Drug Administration announced it has identified 457 women with the disease in the U.S., or 43 more since the last public update one year ago. Nine patients have died since the FDA found a possible link in 2011, a number that's unchanged from last year. Most cases involve textured breast implants. The agency also announced it's now sending letters to doctors, specifically primary care physicians and gynecologists, urging them to learn about BIA-ALCL so they can better diagnose and treat women who may be at risk. "We hope that this information prompts providers and patients to have important, informed conversations about breast implants and the risk of BIA-ALCL," said Dr. Binita Ashar, director of surgical devices in the FDA's Center for Devices and Radiological Health, in a statement. Boone underwent breast augmentation surgery in 1990, a cosmetic change she wanted to do for herself, she said. She now knows she received textured breast implants, though at the time, she wasn’t aware she had any options. Textured implants have a rough, irregular surface that makes them less likely to move around inside the breast and reduces the risk of capsular contracture, a common complication that can leave the breast hard and misshapen. In the U.S., textured breast implants make up about 13 percent of the market. The risk of developing ALCL of the breast is 67 times higher for a person who receives a textured breast implant compared to the general population, said Dr. Mark Clemens, associate professor of plastic surgery at The University of Texas MD Anderson Cancer Center in Houston, who is investigating the link. That’s still very rare, with a lifetime risk of 1 in 30,000 for U.S. women with textured breast implants, he noted. The latest FDA statement says the risk ranges from 1 in 3,817 to 1 in 30,000 based on studies reported in medical literature. Boone’s problems began in 2013, when she started feeling like she had the flu. Her left breast grew in size, became hard and felt hot to the touch. She also noticed a large lump in her clavicle area. She was treated for the flu and took antibiotics for three months. But she kept losing weight, going from 140 pounds to 98. In January 2015, her sister, who is an ultrasound tech, did a scan and found four lumps under Boone’s arm. Boone was diagnosed with stage 4 cancer the next day. She couldn’t believe her implant may have played a role. Boone underwent four six-week rounds of chemotherapy, plus a stem cell transplant at Moffitt Cancer Center in Tampa, Florida. Both of her breast implants were removed. She says she came close to dying before things turned around. She’ll be four years in remission in June. • There is no need to change your routine medical care and follow-up, the FDA says. • “Women should just be aware that this can occur and to watch for symptoms, but have a realistic perspective on the disease: it’s incredibly rare,” Clemens said. • Go to your doctor if you notice something unusual, such as new swelling, lumps or pain around breast implants. • The majority, or 80 percent, of women with breast implant-associated ALCL will have a “spontaneous fluid collection,” which may show up as a sudden enlargement or swelling of the breast, he noted. About 40 percent will feel a mass or a lump. • One part of the diagnosis is a screening test called CD30. If you don’t get that test, you can miss the disease, Clemens said. • The treatment for the vast majority of patients is surgery. If the disease progresses to the lymph nodes, it usually requires chemotherapy.